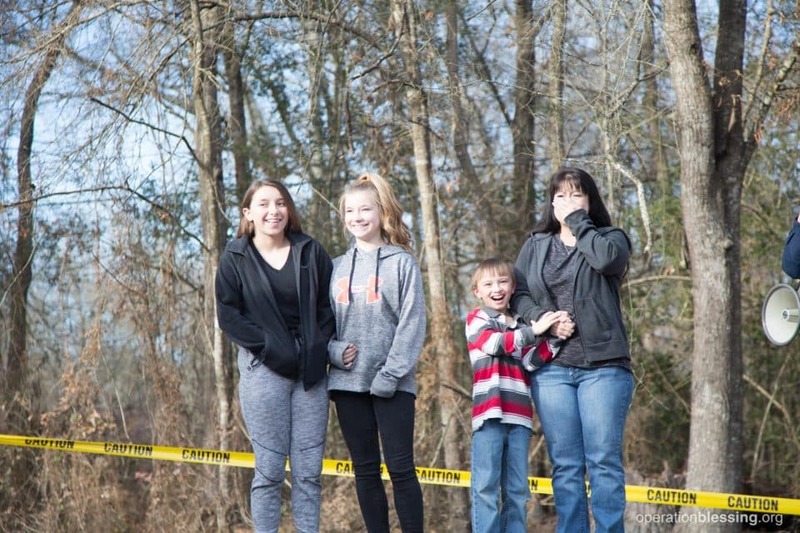 TEXAS – Eight-year-old Gabe lived in a two-bedroom house in Texas with his mother and two older sisters, Payton and Penelope. He lives with autism, but had a safe home until Hurricane Harvey barreled through their community. Floodwaters rushed into the humble house as the unprecedented storm dumped heavy rains on the entire region. Since the swirling waters made it impossible to evacuate on foot or by car, a boat rescued Gabe’s family. But as they floated away from their home, they didn’t know how they would recover. Peggy is a single mother to her three children and does the best she can to provide for them. 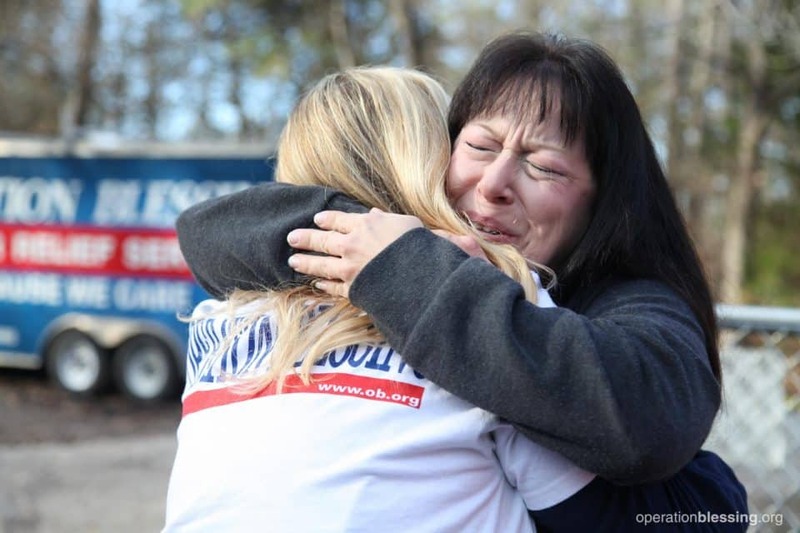 But when the hurricane hit, she had no insurance, and lacked the resources they needed to rebuild. Their local church took up an offering to purchase a portable building, similar to a shed, for the family to live in. 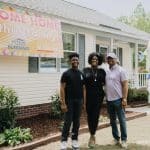 It became the place they called home — and they were so grateful for it — but it wasn’t a permanent solution. 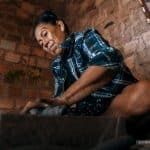 Once the schools reopened, Gabe and his sisters would sleep in the portable building behind their house, using the remnants of their home for the shower and restroom. Mold grew everywhere, but there was nothing they could do. Peggy cried out to God for help, and as she did, someone nominated her for the Project 40 Program — a special partnership between Operation Blessing and Cathedral Church. Without giving Peggy and her children too many details, OBI offered to help. Little did the family know just how much work Operation Blessing partners and others would put into their house! Gabe’s family had been selected for an Extreme Blessing — a special project where Operation Blessing and partners completely restore and refurnish a home for a family in need. Volunteers helped gut the building and hang new sheetrock. 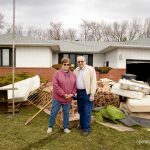 They finished the repairs and added furniture and even décor to the home without Gabe or his family having any idea just how much work they were doing. When they were invited to return to their home, Gabe stood with his mother and sisters, excited and surprised. 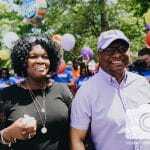 He held his mother’s hand as people they had never met held balloons and signs welcoming them home. Perfect strangers had come to help them in their time of need, leaving Peggy and her family with tears in their eyes. They walked together through the joyful crowd and opened the door to their home to see what work had been completed. “It doesn’t even look like our house,” Peggy exclaimed. “Wow!” Inside, their mold-infested, dilapidated house had been completely restored! They were home again. 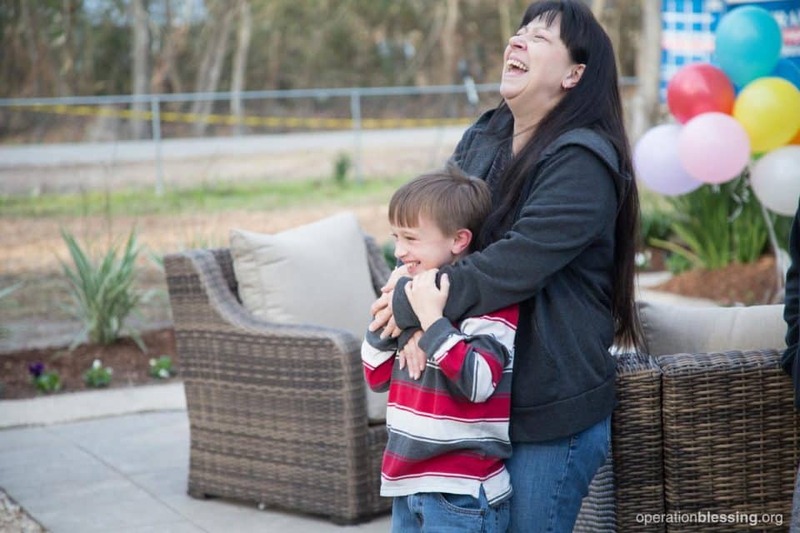 “Thank you, Jesus,” Peggy breathed a prayer in relief as she hugged young Gabe. “I love it!” Gabe said. He jumped onto the new couch with a grin. The family toured the house one room at a time, taking it all in with exclamations of gratitude and happy tears. Gabe’s sisters have bunk beds in their room, but he didn’t know what to expect in the room he shares with his mother. When he opened the door, he started shouting with excitement. For the first time ever, he had his own bed. 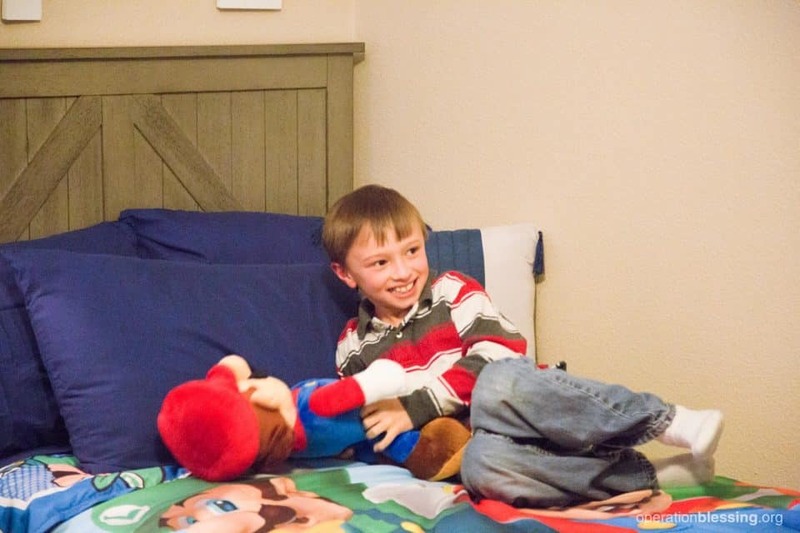 His name hung above the headboard in white letters, and as he scrambled onto the bed, he hugged the Mario toy that was waiting for him. Thank you, OBI partners. 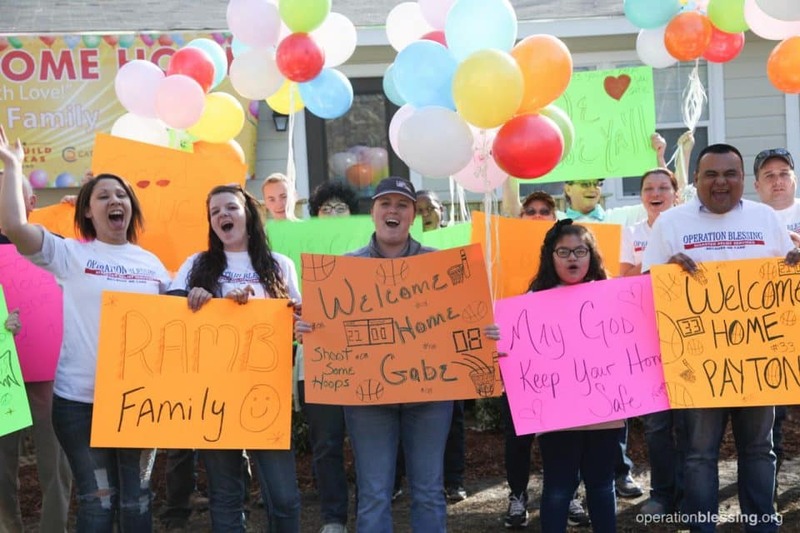 You made it possible for Operation Blessing — alongside long-time partner The Home Depot and grants from The Rebuild Texas Fund, Cleveland Indians Charities, MLB, and Jay & Hannah Bruce — to welcome Gabe and his family home.